Calves born in cold weather may suffer adverse effects if they are unable to get right up and nurse before they become chilled. 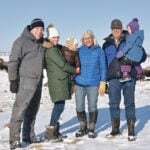 Dr. Steve Hendrick of Coaldale Veterinarians, Coaldale, Alta., says anyone calving during winter has to deal with these issues and it can be a challenge. 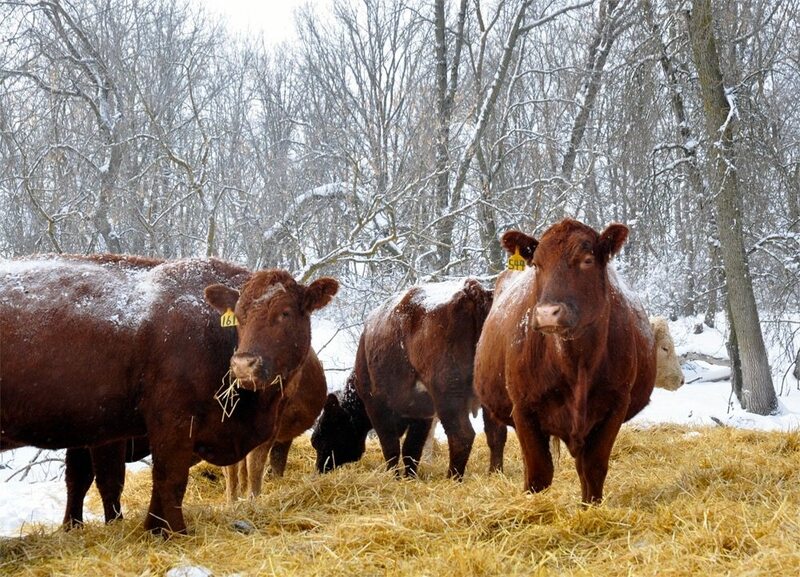 “Make sure you have lots of bedding for the calving cows. You also need to be monitoring and checking cows routinely, going out with your flashlight, or having cameras in the barn or calving lot. Some of the larger outfits have technology to aid them — but you still need to get out there and move those calving cows or newborn calves inside,” he says. During the first two to three hours of life, calves are unable to regulate body temperature and even a normal calf can become hypothermic quickly if weather is cold. “Those chilled calves are unable to get up, unable to suckle, so they don’t get colostrum — and this compounds the problem. 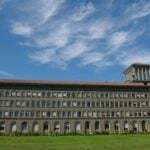 Even if they survive, they are likely to get sick later,” says Campbell. 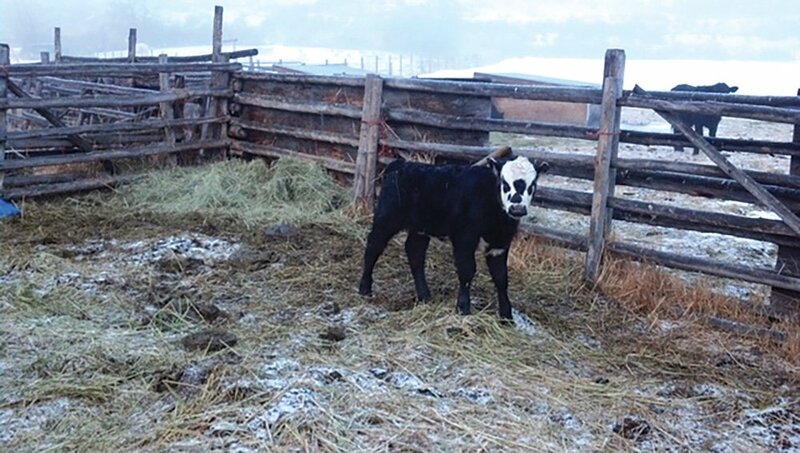 “One of the rancher’s most valuable tools is a digital thermometer, especially when calving in cold weather. These are inexpensive, and a far better indicator of body temperature than just feeling the calf’s mouth. If the calf’s temperature is higher than 38 C (about 100 F) it’s normal enough. You still might need to worry about ears freezing, but the calf is not at risk for severe cold stress,” he says. 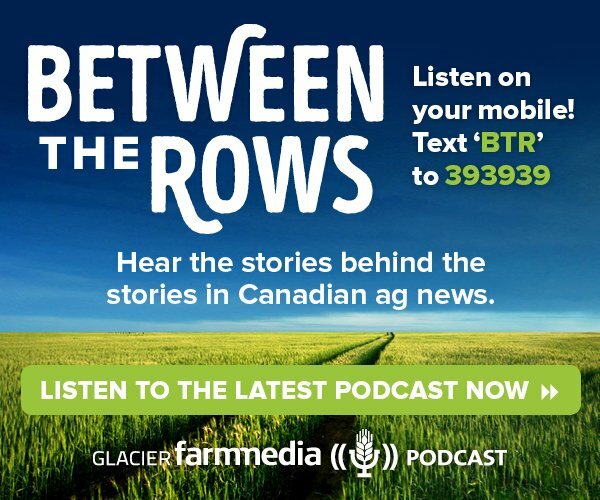 “If the calf’s temperature is between 35 to 38 C, this is borderline hypothermia. Below 35 C you’ve got to quickly warm that calf. 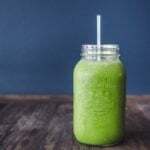 For the ones between 35 and 38 degrees you can probably just put them in a warm room, a hot box, the cab of your truck — anyplace warm — and tube them with warm colostrum and they will be fine.” The warm colostrum helps warm them from the inside and the high fat content provides energy to create body heat. You don’t want the colostrum too hot, but it needs to be cow body temperature. 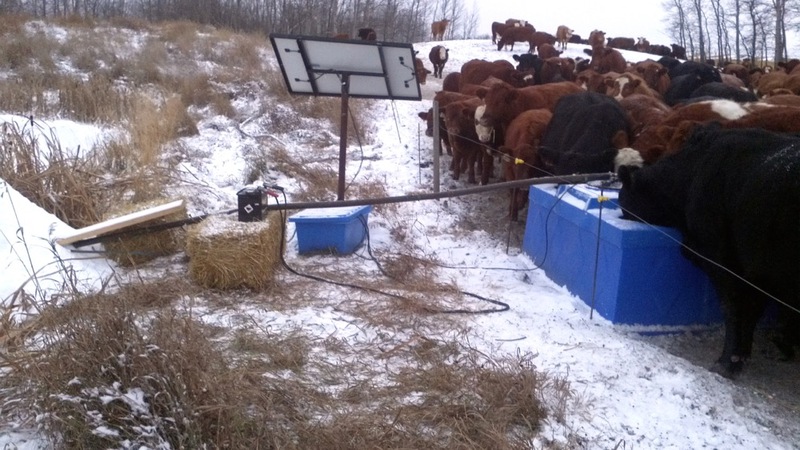 “If the calf’s temperature is much below 35, the hot box or warm room won’t help enough, especially if the calf is already dry. The hair coat works as insulation, just like an insulated cooler; it not only keeps things hot, but can also keep things cold. I’ve put some of these calves in a hot box and left them there for hours and they don’t warm up. 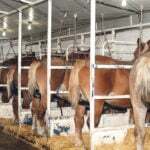 Their interior body temperature is so cold, and the dry hair so insulating, that a hot box won’t help them as much as you’d expect,” he explains. Hendrick says the fastest way to warm these calves is with warm water. “This direct contact is quicker than warm air. You don’t want frozen feet, ears and tails. 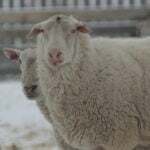 Even after you’ve thawed and dried a calf, and he’s back out with mom, these are things you need to watch for,” he says. “The advantage of a hot box is that the air is warm and the calves are breathing warm air into their lungs,” says Campbell. “The lung surface is actually their biggest body surface, so the circulating warm air in a hot box is helpful. But the most success I’ve had with really cold calves, and the way we deal with hypothermic people, is to use a warm water bath. The only way I’ve been able to save those calves is to tube them with warm colostrum and put them in a tub, with water temperature near body temperature — about 38 C, feeling warm to your touch,” says Campbell. It takes effort to warm them. “You’ve put this giant ice cube in the water, and the water cools down very quickly. The water must be warmer than the calf, so you have to keep changing it. It is labour intensive and someone needs to be there in case the calf can’t hold its head up. A big laundry tub works nicely because you can fold the calf in there with head upright,” he explains. It’s best if you can prevent problems by finding these calves before they are stressed, but sometimes you don’t find them that quickly. 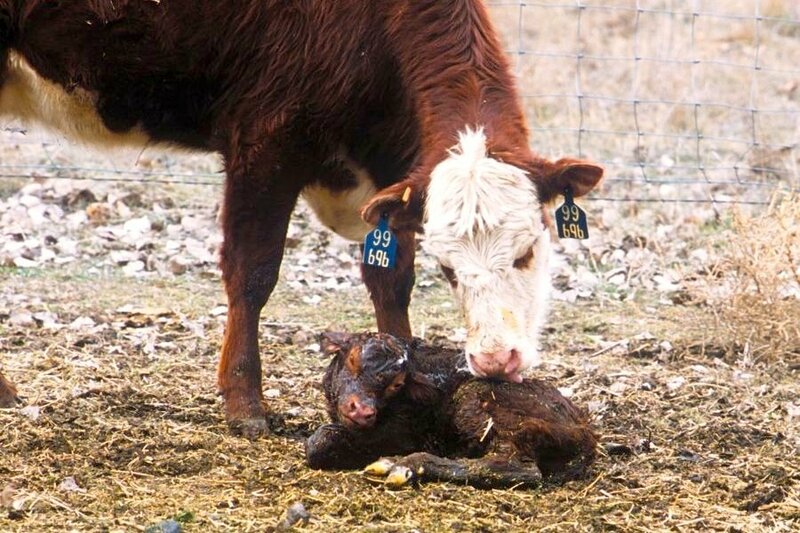 “High-risk calves need to be identified sooner — such as the ones that don’t get up right away and maybe don’t roll up onto their chest immediately after birth,” says Campbell. “If a calf takes more than a few minutes to become upright, it may be low on oxygen due to problems during birth, and is much more likely to suffer cold stress. That calf is not going to get up as quickly as a normal, vigorous calf and won’t suckle right away,” he says. 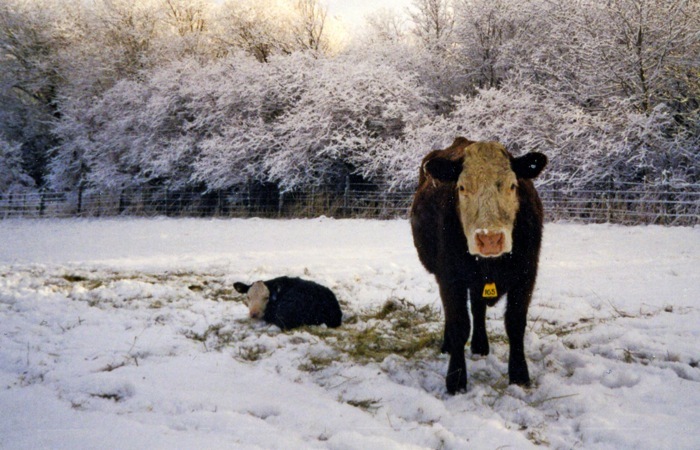 Even a normal calf can become hypothermic quickly if weather is severe. “You must be more vigilant and intervene sooner if you’re not sure whether they’ve sucked or not. In warm weather you can give a pair more time to bond and get the calf suckling. In cold weather we have to step in sooner,” says Campbell. A digital thermometer can help you assess a calf, to know if you can just put the calf in a hot box or go to the effort of a warm water bath. In a veterinary clinic a severely chilled calf might be given warm IV fluids, but at home a hot water bath will give you a chance of saving those calves. “It’s easy to tell that a calf is chilled, but the thermometer helps us sort them regarding proper treatment,” says Campbell. You need to get colostrum into the calf. Even if the calf is indoors, if it’s five hours before it gets a belly full of colostrum, it’ll suffer more cold stress than if it was able to nurse within the first hour. The colostrum contains two to three times the fat of regular milk and provides the energy to keep warm. “This is one of the biggest issues, because even if you get the calf warmed up, if it hasn’t nursed mom you are behind the eight ball. The calf needs nutrition from colostrum and the antibodies to protect it from disease. The faster you can get warm colostrum into the calf the better,” says Hendrick. 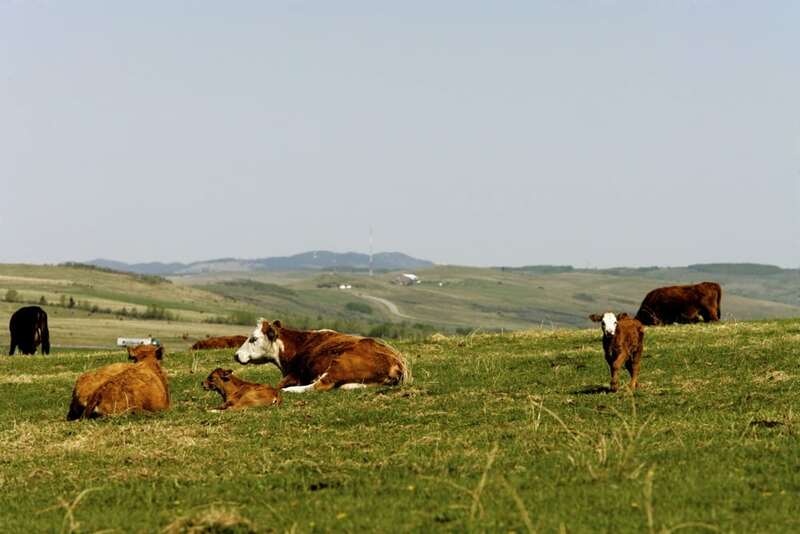 “If you have to take the calf away from mom to warm it before it has nursed, it’s not getting the antibodies, it’s not getting nutrition, and you need to supply some during the warming process. It will be hard on that calf if it’s six hours later before it gets colostrum from mom.” It pays to give that calf a jump-start with colostrum as soon as possible, before you take the calf back to mom. 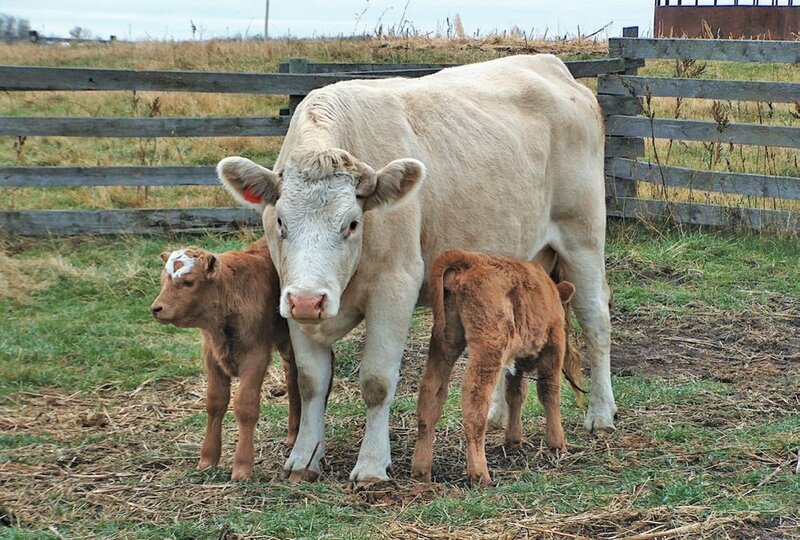 “Once they are dry, it is amazing how well these calves can do. 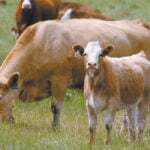 If they are dry and had adequate colostrum, they can handle a lot of cold weather. If they have bedding and a good mother, they generally do fine. Some people use blankets and even calf earmuffs to keep ears from freezing. Short-eared calves get docked at market, without good reason. The best way to avoid this is to get them dry immediately,” Hendrick says.